Hier kauf ich meinen Stapler! You are searching for a forklift, preferably a used one? We offer you Linde, Jungheinrich, Still, Toyota and much more manufacturer. Diesel, electric and gas forklifts. Low level pallet stackers or high pallet stackers. Since many years, GA-TEC is your professional partner for forklifts and storage techniques. We offer more than 300 used vehicles from common manufacturers like Linde, Hyundai and Still. We quote you a tailor-made offer for your needs free of charge and without any obligation, and we take time for answering all your questions. Will the machine be used indoor or outdoor? How high may the building height be? How much capacity is needed? Which lifting height is needed? Maybe just a low level pallet stacker or high pallet stacker would fit? To make a decision concerning a purchase, a consultation may make sense, because the price depends on the abovementioned points. Did you already visit us? Please feel free to come around to headquarter in Dortmund! We are looking forward for your visit! To get a summary about our machines, you can use our detailed search on our homepage. Should you not find what you need, you can contact us at any time via e-mail or just give us a call. We are sure to find a suitable machine for your needs. And beside of forklifts, we also offer other machines, e.g. 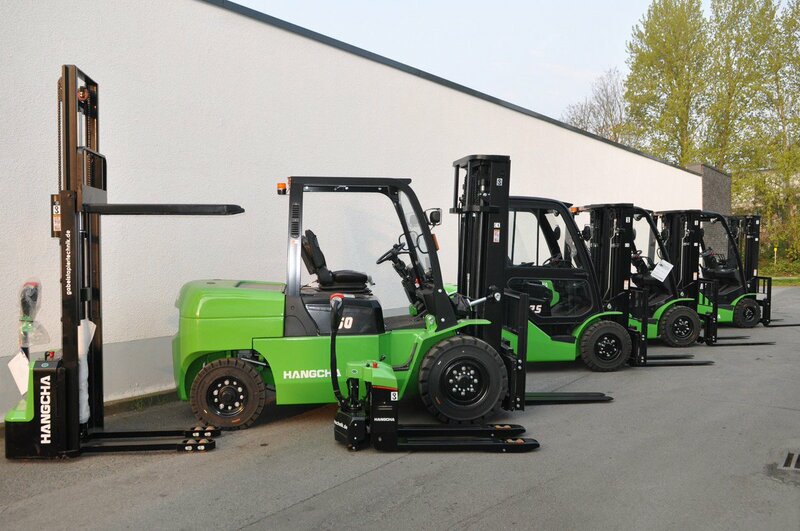 lift trucks from Pramac (new and used) or street sweepers! 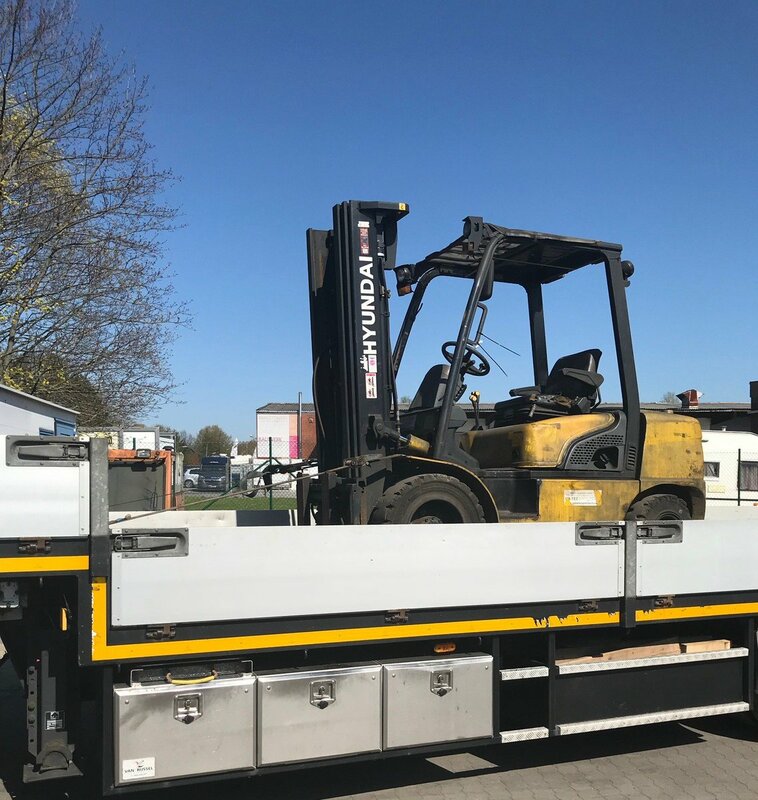 Should you need a forklift only for a short time or prefer renting over purchasing, more than 100 machines are available. From low level stackers up to 16-tons-diesel forklifts we have everything you need for your new project. Within the rental time we do not charge any maintenance or repair costs. We look forward to helping you with our many spareparts and attachements from stock. Should a sparepart not be available on stock, we can organise it in no time. You would like to have your machine for repair / maintenance collected or you need help to transport it from one location to another? In this case we support you with our knowdlege and organise all needed steps for you. 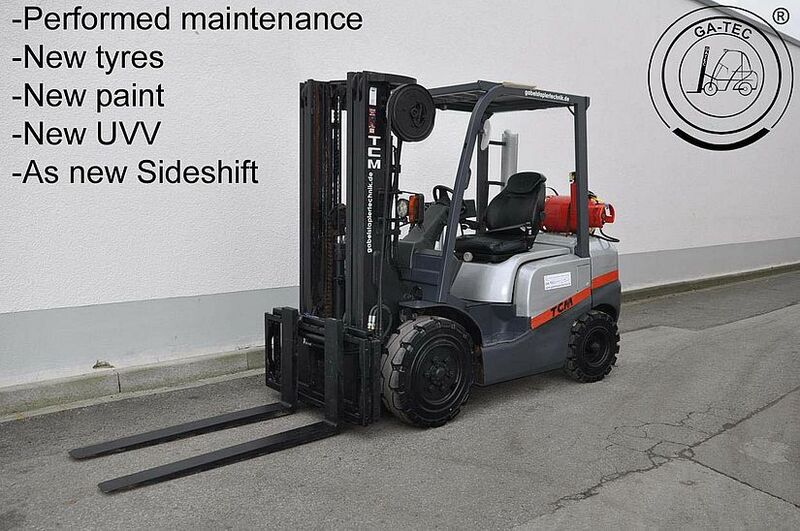 Forklifts are versatile, flexible and highly efficient. They belong to the daily working routine in most business sectors. That is, without a doubt, why you have to rely on your vehicle when thinking about buying a used forklift. GA-TEC is your professional partner for used forklifts, pallet stackers and more. 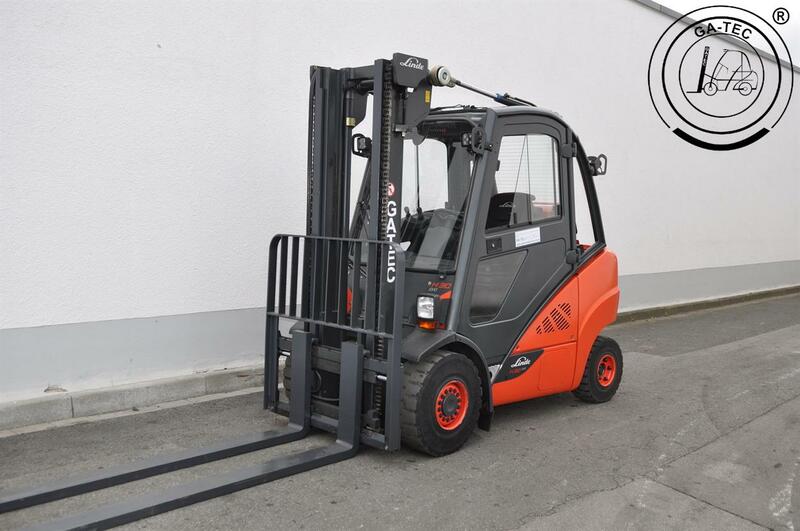 We offer more than 400 vehicles from common brands like Linde, Hyundai, Still etc. 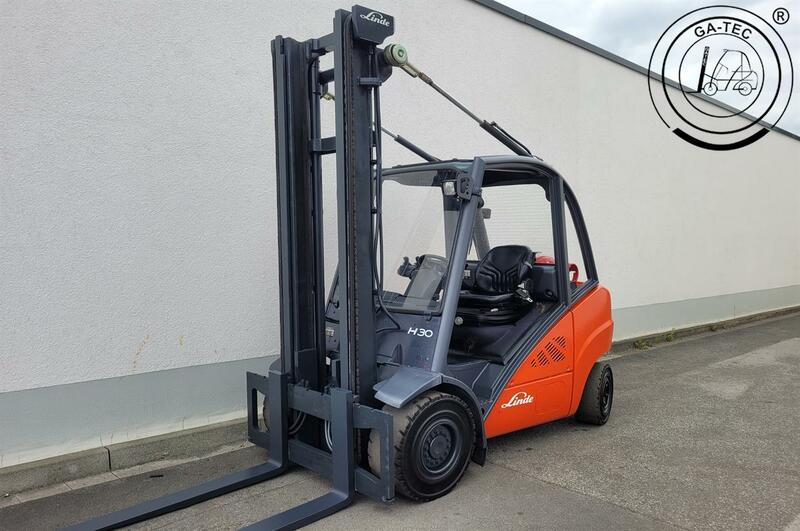 Buying a used forklift and rely on the best qualtiy: Both is offered to you by GA-TEC. GA-TEC is your specialist for used forklifts, pallet stackers and street sweepers. We are buying high quality vehicles, carry out repair work or maintenance, if needed, and offer them to our clients at a valuable price. Our headquarter is worth a visit not only if you would like to to buy a used forklift. Here we repair and maintain your forklift or pallet stacker by request and provide you with temporary machines. In our Linde workshop we are specialised in machines from that brand, however we provide fast assistance for many other models from other brands. If you buy a used forklift, you can count on highest quality at GA-TEC. The same holds true for our rental forklifts. More than 100 vehicles are at your disposal. From low level stackers up to 16-tons-diesel forklifts we have everything you need for your new project. If you want to buy a used forklift while saving money, GA-TEC is your qualified partner. Search in our wide range of products and find the suitable vehicle for your project. Use therefore our detail search. In our neatly arranged categories we also offer spareparts, acessories and versatiled attachement equipment for forklifts. By the way, not only can you buy or rent forklifts from us, but also pallet stackers and street sweepers. You have some questions about how to buy a used forklift or what kind of services we can offer? Please do not hesitate to contact us via telephone +49 (0) 231 92528127 or simply visit us at our headquater near lake Phoenix-See in Dortmund. Dieser Stapler geht in das Ausland. We are one of the largest forklift dealers in the region with many years of experience and trained personnel.